Keeping tabs on tire tread depth is essential for maximum driving performance and San Diego road grip. Learn how to check your tires with a penny or ruler, and drive with total confidence through San Marcos. What is the Recommended Tire Tread Depth? Brand-new tires have a depth of 10/32 or 11/32 of an inch. This gives Carlsbad drivers total control on wet, icy, or gravely terrain. Other tires designed for winter or off-roading conditions may have deeper tread grooves for increased traction, and are commonly found on heavy-duty trucks or larger SUVs. The U.S. Department of Transportation recommends replacing your tires once they are down to 2/32 of an inch. This measurement indicates your tires are “going bald” and will not ensure your safety during inclement weather or tricky driving conditions. With Lincoln’s head facing you, place the penny into a tire groove, with Lincoln’s head pointed up. If Lincoln’s face disappears, you still have enough tire tread. If Lincoln’s face is still visible, that means your treads are no longer deep enough and it’s time to shop for new tires. All of these areas affect the overall longevity of your tires, so if you see anything that gives you pause, schedule a service appointment right away. A certified technician can assess any issues and give you a plan of action. 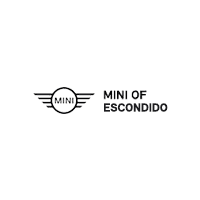 The experts at MINI of Escondido are here to help your vehicle perform at its best, and we offer a variety of service specials to make your visit even more affordable. Whether you need help deciding what kind of tires your MINI needs, or how to stay on your MINI maintenance schedule, we’re your trusted Escondido guide! Keeping tabs on tire tread depth is essential for maximum driving performance and San Diego road grip. Learn how to check your tires with a penny or ruler, and drive with total confidence through San Marcos. Schedule Service What is the Recommended Tire Tread Depth? Brand-new tires have a depth of 10/32 or 11/32 of an inch…. MINI Cooper Warning Lights: What Do They Mean? 0 comment(s) so far on How Do I Check Tire Tread Depth?